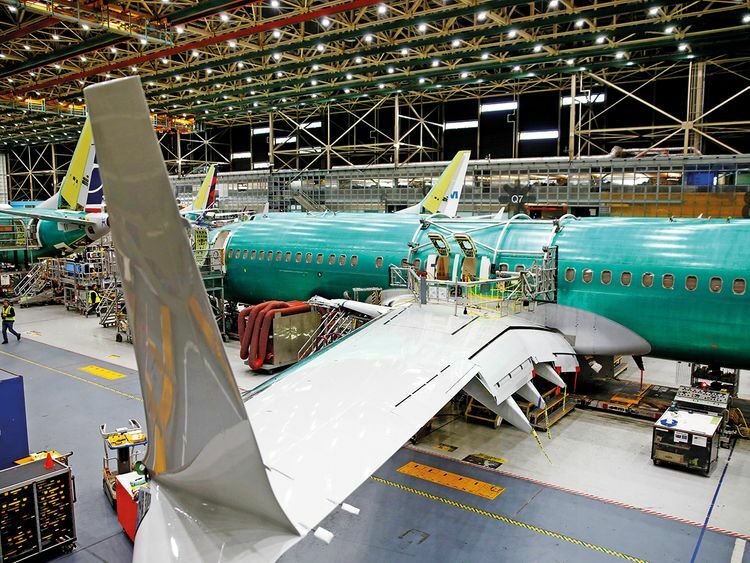 Washington: Boeing says it needs more time to finish a software upgrade for its grounded 737 Max jetliners as company engineers update a stall-prevention system linked to two fatal crashes in five months. An issue with integrating the software fix and the aircraft’s existing flight-control architecture came to light as Boeing did a final audit of the upgrade, according to a person briefed on the work. Ensuring that MCAS will perform as desired while not interfering with existing flight controls isn’t expected to be a significant challenge, said the person, who wasn’t authorised to speak about the work and asked not to be identified. “We are working to demonstrate that we have identified and appropriately addressed all certification requirements and will be submitting for FAA review once completed in the coming weeks,” Boeing said in an email Monday. The FAA first announced that the proposed software upgrade wouldn’t be ready for weeks, and said the changes would face a rigorous review. That bodes poorly for investors banking on Boeing quickly getting its single-aisle workhorse back in the air. “The FAA expects to receive Boeing’s final package of its software enhancement over the coming weeks for FAA approval,” the agency said. Boeing will also have to convince sceptical regulators in Canada, Europe, China and elsewhere of the system’s safety. Boeing fell less than 1 per cent to $388.97 after the close of regular trading in New York. The aircraft-maker’s stock has fallen 7.3 per cent since the Ethiopian Airlines crash, the worst performance on the 30-member Dow Jones Industrial Average. The 737 Max models were grounded on March 13 after similarities began to emerge between the crash on March 10 in Ethiopia and the one on October 29 off the coast of Indonesia. The disasters killed a combined 346 people. In the first crash, MCAS repeatedly attempted to push down the nose of a Lion Air jet as the result of a faulty sensor. In the second, MCAS was also activated on an Ethiopian Airlines plane, according to reports last week in Bloomberg News and the Wall Street Journal. Boeing described the software patch, and the months of testing, in a briefing with reporters March 27 and a separate event the same day with pilots and industry officials. Submitting the final paperwork to the FAA would be the last step in a certification plan the company outlined for the agency on Jan. 21. The study involved poring over hazard analyses, fault trees and other engineering studies of the Max. The planemaker said that aside from MCAS, “there’s nothing else we’ve found at this point,” Boeing added. The US planemaker, working with regulators, has already spent months refining the software, using feedback from computer simulations and flight-tests, after its initial approach proved more complicated than originally expected. Meanwhile, Air Canada said on Tuesday it has removed Boeing Co's 737 MAX planes from flight schedules until July 1, citing uncertainty about when the aircraft would be allowed to return to service. The carrier said due to Transport Canada's continued closure of Canadian airspace to the aircraft, it has further adjusted its schedule to May 31.